Usually, households with specific problems find out this is a great way to rectify the issue they are struggling with, then discover the myriad of other advantages that come along with it. 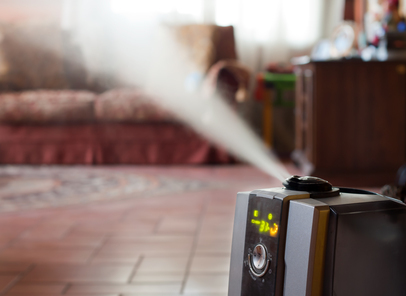 Simply put, a whole house humidifier can improve your air quality, as well as your quality of life. Westberry Heating & Air Conditioning wants you to be able to feel confident about taking steps to take good care of yourself, and your loved ones. And that should start with the basic essentials in life, such as water for consumption and air for breathing. One of the responsibilities that you have as a residential or commercial building owner is to try to improve the space, including the air quality. If you know nothing about humidifiers, you probably at least know that they are intended for the purpose of reintroducing moisture into arid space. The reason that they are often thought of as something that is used mainly in the winter is that it is important to combat the effects of dry air that is often created, as a result of using the central heating system. Adding moisture helps to alleviate dry sinuses, cracked lips and even bloody noses. In fact, in many instances, this whole-house system can help to reduce the likelihood of snoring, or at least reduce the amount or severity. Humidifiers are also popular because they can ease the symptoms associated with common illnesses, such as cold or other respiratory ailments. Even better, since germs have a harder time traveling through moist air, they are less likely to be transmitted. So, your household is less likely to fall ill in the first place but, should that happen, the symptoms will be less severe. You have a variety of options, but we offer a system that is built into your central HVAC. This distributes the moisture into the air and helps to make the conditions in your home more comfortable, all around. You will even not ice benefits such as softer skin or healthier house plants. Moisture is vital for improved health, and a humidifier is a good way to make this possible. At Westberry Heating & Air Conditioning, we want to be able to help our clients improve their quality of life, and it begins there indoor air quality. We take great pride in all that we do and that is evident from the results that we are able to get – including our customer satisfaction rating. Trust in us to provide you with essential services that will make your air quality better, including a whole-house humidifier.